Charity ball raises £30,000 for children with rare degenerative disease | News by Wales Express News, People Before Profit! 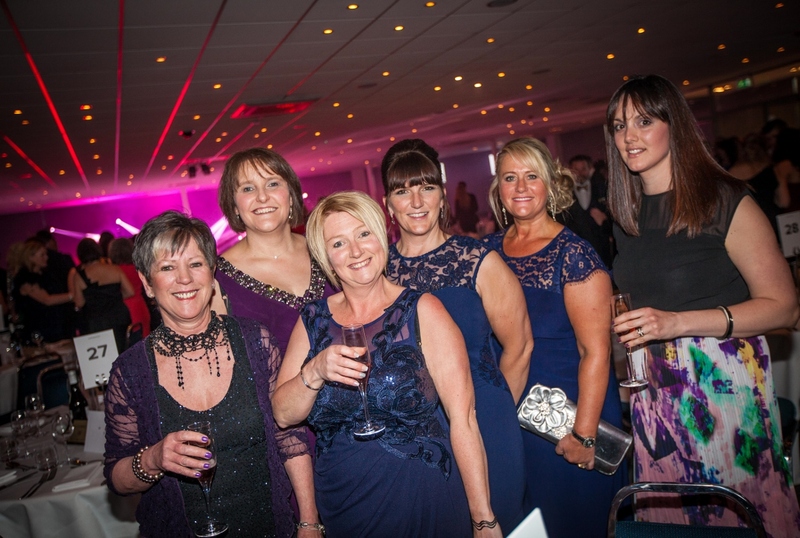 A CHARITY ball has raised £30,000 to help children with a rare degenerative disease. The seventh A-T Spring Ball, held at Chester Racecourse Pavilion, was organised by Wrexham businessman Vaughn Rawson, managing director of Rawson Digital, and his wife Joanne to help families coping with the rare genetic condition known as Ataxia-Telangiectasia (A-T). Charity ball event Saturday April 28th 2018, held at Chester Racecourse Pavilion. The children of Vaughn’s close friends have the disease and Vaughn and his wife have been on a mission to raise funds towards medical research to speed up the process of identifying a cure or developing treatments which can delay or prevent A-T. To date, Vaughn and Joanne have now raised a staggering £230,000 for the cause. There were 320 guests at the latest ball and their fundraising received a major cash boost via Darren Mercer and David Wall of Mercer & Associates Wealth Management, one of the main sponsors, who donated a further £5,000 on the night. Around £13,000 was generated via a charity auction. Vaughn, who lives in Gresford, said: “Organising the ball each year is a big undertaking and it is the terrible circumstances that the families of children with A-T face which drives Joanne and I to keep doing it every year. They are worth every last bit of effort. Guests to the event, which was also sponsored by Jolliffe & Co Solicitors with financial support from local Barclay’s Bank manager Paul Ffoulkes, were treated to an evening of entertainment including music from talented Motown act The Soulstars and North Wales band Universal Exports. There were also performances from Britain’s Got Talent semi-finalist Kev Orkian and it was hosted by sports impressionist and comedian Aaron James. The ball partly raised money for Action for A-T, a Surrey-based charity set up in 2011 by the parents of a child with the condition, which seeks to increase investment in A-T research and raise awareness of it. The other half of the money raised went into a trust fund which has been set up to help Vaughn’s close friends and their family. Vaughn said: “It was a fantastic night, as it always is. Our guests really enjoy themselves. But I know we always take time to think about the families and children we are supporting. “I must thank the two main sponsors specifically, Mercer & Associates Wealth Management and Jolliffe & Co Solicitors, who play a very important part in making the event happen every year. Most children with A-T appear healthy during the first years of their life before developing problems with poor balance and reduced motor coordination which is when families often realise something is wrong. A-T does not affect the mind and there are no learning or social difficulties linked to having the disease.